Having an exhaustive online presence is a necessity for businesses today. Simply putting up a website can boost your sales tremendously and will help your brand become a lot more popular. The cost of setting up a complete online presence may be prohibitive for some businesses that are working on limited resources. Managed hosting services are a great way compromise between shared hosting and dedicated hosting. 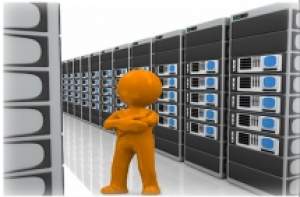 You get the speed and performance of dedicated servers but do not have to pay the price that dedicated hosting costs. When you avail our managed hosting services, you get the added benefit of switching to a different plan effortlessly. If your website is getting heavier traffic than you anticipated and your current plan is causing your website to go offline, you can instantly request a higher performance plan which we will activate promptly. You will be able to switch to subscribe to a high performance plan for specific times when your networks are known to come under heavy load, and then your plan will be returned to regular to make sure you get the most economic services. We will make sure that you get the best performance from the application you host on our servers and we guarantee a 99.99% uptime for our networks. Your website and your network will be secured by our experts and we will make sure that every aspect of your online presence is well managed and is completely secured. Enjoy the performance and speed of a dedicated server while paying for a price of shared hosting. Subscribe to our Managed hosting services to experience world class hosting services. We provide our customers and clients with varied options in web hosting in order to help them to get their websites or blogs online on the Internet. Having a website on the Internet goes a long way in boosting revenue, clientele and presence in both the physical and the virtual world. Our web hosting packages address your website and blog needs. To find the package that would suit you best, browse through and compare our products and contact us for more information. We provide email hosting services and solutions for all your email need that are related to the domain name of your choice. Today, it is not only organizations but also individuals who seem to need their own customized domain names as compared to the general email carriers that the Internet affords us. We take care of your needs whether you are a company, a non-profit organization or a family! To find the product or tool that would suit you best, browse through and compare our products and contact us for more information. Hosted Exchange permits businesses of any magnitude to enjoy the business-class email and shared utility as presented by Microsoft Exchange in cloud-based model that works on a pay as you need a model. Our solution controls Microsoft Exchange milieu which is hosted in our industry leading data center network. Our solutions allow you to access emails, contacts, task lists and documents from any place, using any device, as long as are connected to the Internet. To find the product or tool that would suit you best, browse through and compare our products and contact us for a customized solution. Our managed hosting services provide our clients and customers with dedicated server space which is not shared with anyone. If you are in need of a dedicated server as your definitive hosting needs, you have come to the right place. We have affordable and trusted dedicated server packages to meet your everyday business and personal needs. To find the package that describes your need the best, browse through and compare our products and contact us for a customized solution. Are you running out of space for your physical server? You have come to the right place. We provide server co-location solutions that enable you to place your physical server in another location and at the same time enjoy the benefits of the network of the said location. We provide, space, power, cooling, storage, networking cables and other such equipment. We manage and provide for all your domain name needs. With our help you will be able to register a domain name for you and your business, add email to any of your existing domains or add external apps for your business needs. Every solution includes unlimited forwarding, domain editing, bulk management and DNS management. Browse through our various packages to choose the one best for you or contact us for a customized solution.